For the first time in Britain, an all-black cast present Shakespeare’s greatest tragedy on tour this Autumn. Denmark, a Black Empire of modern England, where an intelligent young student discovers the world he once knew has crumbled. Implored to defend what is left of his father’s decaying legacy, Hamlet now faces the greatest moral challenge – to kill or not to kill. Directed by Jeffery Kissoon (RSC, National Theatre, Robert Lepage, Peter Hall and in Peter Brook’s seminal production of The Mahabharata) and adapted with Shakespeare’s text by award-winning playwright Mark Norfolk, this fast-moving version gets straight to the heart of a young man’s dilemma. 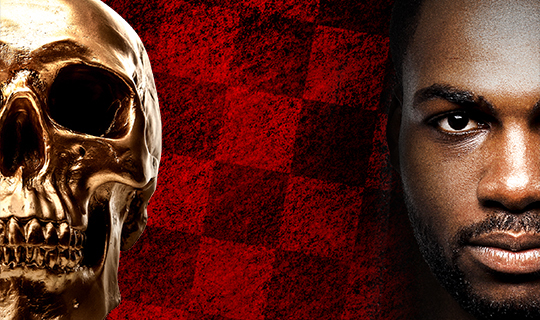 This first all-black production of Hamlet in Britain makes a striking contribution to the Shakespeare 400 anniversary celebration. Check out the Cast & Creatives Blogs from the Hamlet national tour. Black Theatre Live is a pioneering national consortium of 8 regional theatres. Following Black Theatre Lives’ first tours in 2015 of Macbeth and She Called Me Mother starring Cathy Tyson and The Diary of a Hounslow Girl in 2016 , we are delighted to announce the next mid-scale tour is Hamlet, set for autumn 2016. Black Theatre Live is Tara Arts (London), Derby Theatre, Queen’s Hall Arts (Hexham), Theatre Royal Margate, Theatre Royal Bury St Edmunds, Key Theatre (Peterborough), Stratford Circus Arts Centre (London) and the Lighthouse (Poole). Collectively the theatres are committed to effecting lasting change for Black and Asian theatre through a concerted programme of commissions and touring; and audience and sector development. Supported by Arts Council England and the Ernest Cook Trust.